Pre-holiday excitement can quickly turn to frustration if you arrive at the airport only to find that your flight is delayed. Delays can range from a few minutes to days, and could eventually lead to cancellation of your flight and trip altogether. 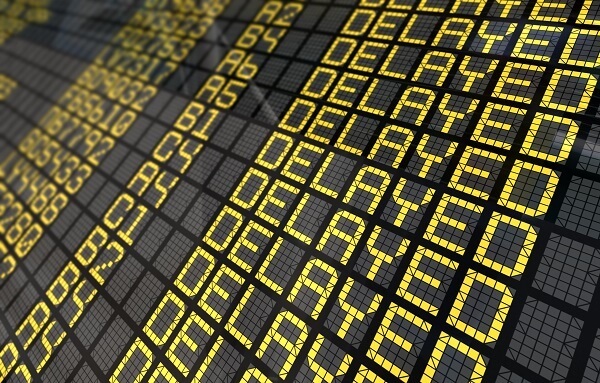 There are ways you can claim compensation, depending on the reason for the delay, but it is impossible to protect yourself from delays altogether, except perhaps, to choose an airline with the fewest delays. According to a new study by Flighstats.com, which analysed the on-time performance of nearly forty airlines, EasyJet and British Airways have had the most flight delays in Europe. The research found that EasyJet had over 6,500 delays between October and November, and British Airways had over 4,200 delays in the same period. Lufthansa took third place with 4,013 delays, Turkish Airlines came in fourth with nearly 3,500 delays and fifth place was taken by Air France with 3,350 delays. Interestingly, Air Berlin took ninth place with only 1,701 delays. However, when it comes to flight cancellations, British Airways moved down to third place with 321 cancellations, and EasyJet dropped to eight place with only 169 cancellations. Lufthansa takes the top spot in this table, with an incredible 4,380 cancellations, a massive step up from second place Turkish Airlines at 351. If you want to protect yourself and your trip against any unexpected delays or cancellations at the airport, make sure you know your rights by reading the airline’s Terms and Conditions, researching advice from consumer champions or national bodies, and investing in quality travel insurance which provides a set benefit per 12 hour delay and includes cover to abandon your trip following a 24 delay.